It's almost 2016, and so everyone here at Mystery Playground is thinking about what books were looking forward to reading in the new year. 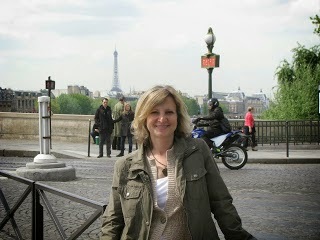 Here is Kerry Hammond with her New Year’s Reading Resolution. The new year is upon us. It’s that time again, where we make grandiose promises to ourselves, the kind that purport to change our lives. Rather than fall into the trap of making resolutions I can’t keep (like losing 20 pounds, or learning to speak fluent French—two resolutions I’ve made in the past and not followed through with) I’ve decided to be realistic this year. In addition to being realistic, I’ve made my resolution a literary one. Why? Because if it involves reading, I know I can follow through. I rolled a lot of ideas around in my head before making my choice. Should I promise myself that I will read the classics? Or should I concentrate on another category, like the list of banned books? How about trying all of those authors who were recommended by trusted friends? All of these are wonderful ideas, and worthy of any new year’s resolution list. But I decided to go a slightly different route. I enjoy reading books that are part of a series. There’s just something about getting to know a set of characters who live beyond the pages of just one standalone novel. A series allows you to revisit old friends as they tackle new adventures. You can take time away and then return to the comfort of these characters as you would your favorite sweater when the temperature drops. I jump into a lot of series books midway through. Whether it’s because it’s a book I have decided to review, or my book club choice for the month. Either way, I end up missing a lot from the other books in the series, and I frequently tell myself that I will go back and start from the beginning. As you can imagine, it rarely happens. So this year I decided to choose four different authors whose series have caught my attention and made me want to start from the beginning. My resolution is to read book one in each series and see where it takes me. 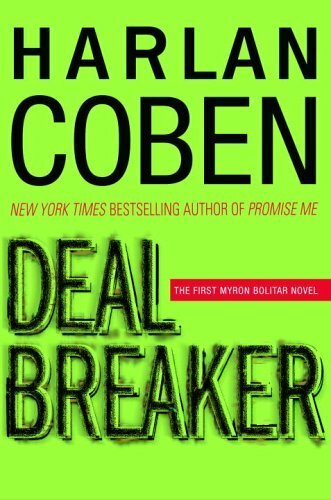 The first on my list is the Myron Bolitar series by Harlan Coben. In addition to reading every standalone written by Harlan, I’ve read several books in the Myron series and enjoyed each one. They’re not only great mysteries, but they’re pretty funny as well. I want to go back to the beginning, which is Deal Breaker, to see what additional background I can get from characters like Myron and Win. 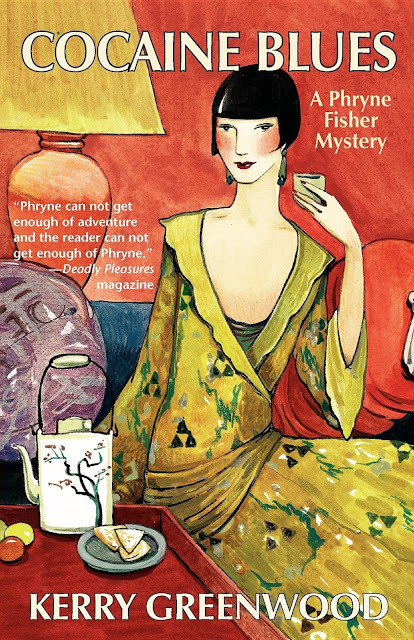 Next up is Kerry Greenwood’s Phryne Fisher series. I actually fell in love with this series after watching the television show Miss Fisher's Murder Mysteries, where Phryne is portrayed by Australian actress Essie Davis. I have been meaning to start reading the books from the beginning, and since there are already 20 books in the series, I have a lot to look forward to. The first up: Cocaine Blues. These books are set in the 1920s and feature a wealthy female detective who turns her nose up at social conventions that try to keep women behind the scenes. To get my British fix, I’ve chosen Christopher Fowler’s Bryant and May series, set in present day London. The two detectives are part of the Peculiar Crimes Unit and I jumped into the series when an employee at Barnes & Noble recommended the author. 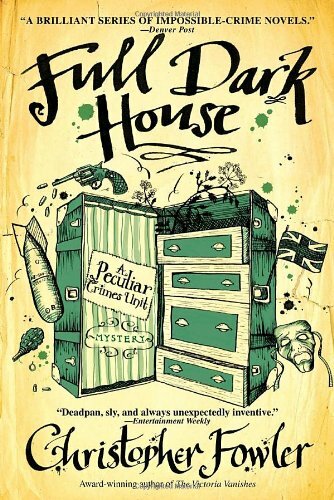 At the time, I purchased the latest release, so I think it’s time to go back and start from the beginning with Full Dark House. 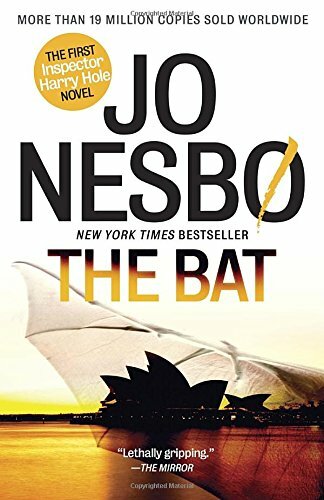 Last on my list is the Harry Hole series by Jo Nesbo. We’ve read this author several times in the Crime & Beyond book club and they’re dark, graphic, and wonderful. The series is set in Oslo, Norway and follows the troubled existence of a policeman and the killers he hunts. The first book in the series is The Bat. What are your New Year’s resolutions, literary or otherwise?